The Hotel Grotto Bay is simple budget hotel located in Baga in Goa. The Arpora bus stop is just 2 kilometers away from the hotel and it is close to Baga beach as well. The hotel rooms are simple and homely. There are windows for lighting and fresh air. The bathrooms and rooms are clean and hygienic as well. There is a storage wardrobe in the room for the guests. 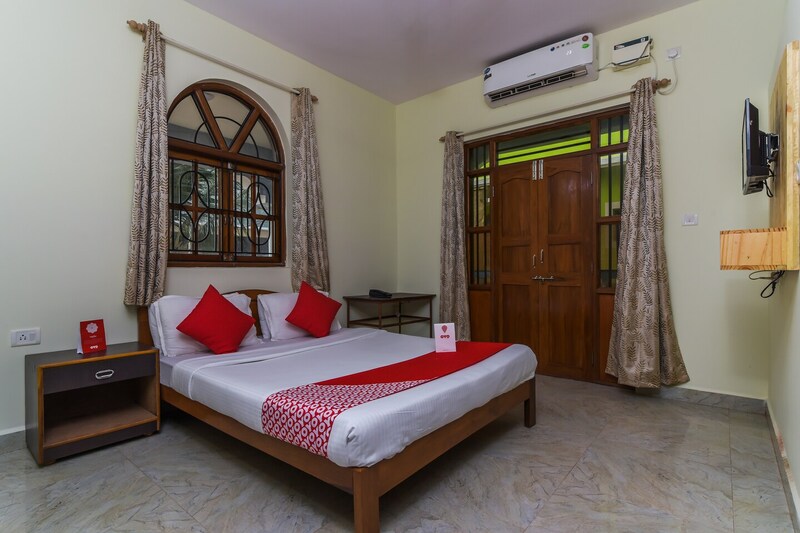 The hotel has green surroundings and rooms have cosy bed with facilities like laundry service, geyser, air conditioning, television, power backup, parking facility, card payment, CCTV cameras and dining area for the guests. The list of restaurants in the nearby area includes Rasa, Brittos, Kashmiri Wazwan Restaurant, Cafe Rio, Fat Fish, Radish Bar and restaurant and the lazy Fish Restaurant.